Research papers on social media marketing look into the most common ways to reach consumers in today's society through social media. In today’s society, one of the most common ways to reach consumers is through social media. Business and MBA students will need to have the most resent research on Social Media Marketing when they research traditional marketing and how it has evolved for even brick and mortar businesses. From advertisements shown in banners on Facebook to images embedded in Instagram posts, social media offers companies new and unique ways to reach out to their target demographics. One of the greatest advantages that social media marketing has over traditional marketing methods is that the former provides more opportunities for discovery. Individuals often report that their first exposure to a brand or a product came from something they saw on Twitter or Facebook; this can result in consumers doing more research about what they saw which can impact the likelihood they will engage with the brand in some way. 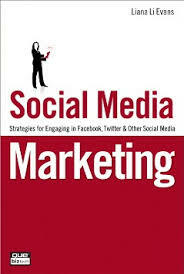 To this end, social media marketing is often based more on information than action. However, social media marketing is not without its drawbacks. The common assumption is that marketing through these channels is quick, easy, and free. Ultimately, social media marketing takes a comparable investment of time and capital in order to be successful in the long term. Additionally, it is important to realize how quickly mistakes in social media marketing can spread. One questionable Tweet, for example, can be captured by users and spread in mere moments. Because social media is so often controlled by just a few people, rather than an entire marketing team, a simple posting that might be seen one way by one user can be taken significantly out of proportion and cause a great deal of hardship for the brand as a whole. While social media marketing offers novel ways to reach consumers, extensive research on how to best use these channels to reach a desired goal must first be carried out. Internet Marketing - Internet Marketing Research Papers discuss the lack of regulation on the internet, and also looks at new marketing techniques. Advertising and Society - Please note that this includes ALL OF YOUR ADVERTISEMENTS. The proper usage of the English language is essential. Advertising Industry - Advertising Industry Research Paper explores, analyzes and critiques an advertisement on its design and placement. Paper Masters writes custom research papers on social media marketing and look into the most common ways to reach consumers in today's society through social media.